Using these key methods you'll succeed! You’ve done your target market research homework and have created an ideal customer profile. But just how long does this stay relevant to your niche? Conditions and technology are always changing, which makes research an ongoing process. If your brand message doesn’t keep up, it can become out of date. What your prospects were interested in one month ago may become something else the next depending on the latest trends and financial climate where they live. 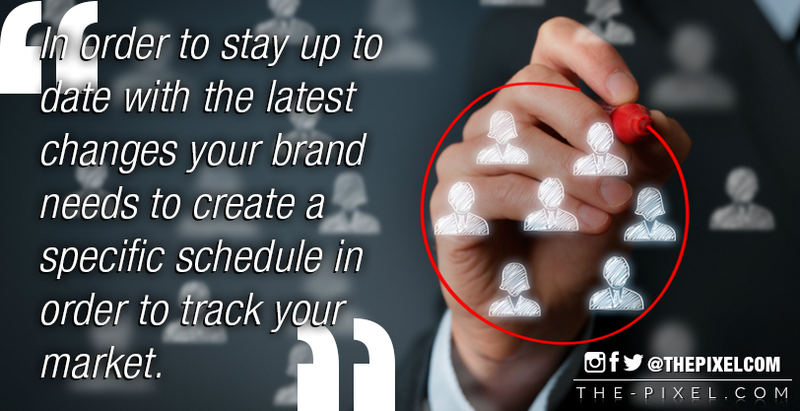 In order to stay up to date with the latest changes your brand needs to create a specific schedule in order to track your market. It’s best to do this well before you have a new product to launch or an update for your branding. The more consistent you are the better your results will be with the use of precise tools that can provide frequent alerts. Keep in mind the golden rule of customer sales and that it is, “what’s in it for me?” Your current research will help you offer improved products and services, often exceeding their expectations over the competition. Through communication and audience feedback you can also discover better ways to help them solve their problems. Maintain a strong social media presence and interact daily with your fans and followers. Regularly write a company blog and try to get interaction and conversation going among readers. Conduct surveys and analyze results on a regular basis. As for reviews and feedback. Spend time on specific social groups related to your business. Take a look at who is specifically purchasing your products or services and why. Divide these into different groups depending on they type of transaction, the geographical location, whether this is a new purchase, the age and gender of the buyers, ect. This type of information will enable you to introduce something to your customers that they may not have considered before, and would be most likely to buy. One of the best ways to make adjustments in your sales and marketing strategy is to track what your leads are purchasing from other brands in your niche, why, and how much they are being charged. This will help you determine whether your business can offer them something different or even better at a price that is appealing. Check out the various reviews online and on social media — these are great places to gather consumer feedback without having to directly approach them. Test both your content and website on a regular basis in order to ensure you are reaching a wide audience on various devices. Your information should be original, specific to your target market’s needs, and current. A website that is adapted to the latest technology will garner the most engagement and increases your chances of a potential buyer taking action. Include both qualitative research, which is focused on the actual data, as well as quantitative research, which provides insights on consumer actions, feedback, and the latest trends. Each one provides enough results that go beyond just statistics and considers all of the various scenarios that can affect a buyer’s purchase decisions. It’s easy to assume that your target market’s preferences are still the same, and that the products they loved before will always continue to be in demand. Companies that stay on top of the latest trends and technology are able to maintain their client base while growing their sales for the future. Base your marketing decisions on hard data collected directly from your target market research on a regular basis.